A cool cat, Paul Sanchez is pure breed N'Awlins, decked out in a Fedora style Stetson and voodoo beads slung low, his rootsy originals preach fun-loving good times. With a thirty year musical career, Paul, alias "Sanchmo", shares heartfelt advice on life's ups and downs in his myspace blogs signing off with "red beans and ricely yours". his rich songwriting and equally poignant personal stories are like diving into a steamy plate of beignets. At the age of 14, guitar in hand, Paul took lessons from his older brother Andrew, "racing past the chords straight to the song". Dan, his sister's husband, taught him rock n' roll with the Elvis moan and the Buddy Holly hiccup. In 2006, Paul Sanchez walked away from the rock group Cowboy Mouth, a band he helped form 16 years ago. He had lost his house to Katrina's floodwaters, and once he was off the road, he started the process of dealing with the storm--something touring helped stave off. He later developed a seizure disorder that makes it difficult for him to tour. Some would have called it a career, but Sanchez shows no signs of slowing down. He currently resides in the Marigny and performs regularly at Frenchmen Street clubs such as d.b.a. He will also soon release two projects, a brand new solo record, Exit to Mystery Street, and John Boutte’s new album, Good Neighbor which he co-produced. At a crawfish boil during last years New Orleans Jazz and Heritage Festival, I asked songwriter Paul Sanchez which New Orleans musician he thought was most deserving of attention outside the Crescent City. "John Boutté," he said without a moment's hesitation. "He's the best singer in town." I didn't get a chance to hear Boutté until this year's Jazz Fest, where, backed by a jazz group, he sang tunes like Stevie Wonder's "You Haven't Done Nothin'" to a big crowd. I was highly impressed, and looked forward to hearing him in a smaller room. "What the levees have done to this poor Creole's land . 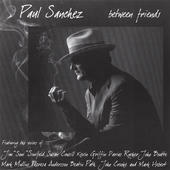 ..."
Not that its New Orleans-based members weren’t capable of spare and emotionally direct work.Leave it to Paul Sanchez, then the band’s rhythm guitarist, to expose a tenderness that dwelled just beneath the surface of leader Fred LeBlanc, who had for so long cultivated a sweaty college-hangout, drum-lord persona. As the Canal Street ferry churned across the Mississippi on a recent afternoon, Paul Sanchez and jazz singer John Boutte stood at the rail, watching St. Louis Cathedral recede. Boutte, a committed French Quarter-ite, relished the Algiers-bound perspective. "Sometimes it's good," he said, "to see things from the other side." Sanchez smiled. "That's what I'm doing. But I'm taking it to the extreme." In November, Sanchez left Cowboy Mouth, his primary musical outlet for 16 years. He and his wife, Shelly, still have no permanent home, after Hurricane Katrina's breached levees poured 9 feet of water into their Gentilly house. It has since been razed. And so, at 47, Sanchez finds himself looking at life from the other side. Having spent 17 seasons as the part of the suave, six-string support squad for N’awlins’ party band, Cowboy Mouth,Paul Sanchez once again steps out of the shadows to offer his own take on music….Sort of. Though he has penned every one of these diverse tracks, Sanchez has again deferred performance rites to his musical friends (hence the title). But what friends they are! From The Cowsill’s Susan Cowsill to Better Than Ezra’s Kevin Griffin to Hootie-man Darius Rucker, Sanchez knows how to pick ‘em- both in terms of songs and singers. In early June, John Boutte was at his studio workspace in the French Quarter, the “Boutte Bat Cave,” as he calls it. When asked about the storm, he quickly demurs. New Orleans native Paul Sanchez and his band Cowboy Mouth were recording new album Voodoo Shoppe in Atlanta when Katrina hit. As Sanchez sits on the front porch of a Creole cottage in the French Quarter on a beautiful spring day, a mule-drawn carriage ambles by lazily and friends stop along the street to chat. It’s hard to believe that only two blocks away devastation stretches for miles without end, but the tears Sanchez cannot hold back as he speaks of his hometown tell the story. Like so many other newly homeless New Orleans musicians, he lost everything in the flooding following Katrina, including the Gentilly home he and his wife Shelly owned, his music equipment and all his solo back catalog and merchandise. Fred LeBlanc’s persuasiveness is the key to his art and the not-so-secret ingredient to Cowboy Mouth’s success. He will do anything to stimulate a crowd — climbing the scaffolding and diving into the audience are typical moves, although he’s given up the practice of throwing the drums into the audience at the end of the set. “He’s like a cartoon character,” says Paul Sanchez, whose relationship with LeBlanc goes back more than 25 years. “If he has to, he’ll light himself on fire. It’s a trick he can only do once, like Daffy Duck does in the cartoon, but he’s willing to go there".